Being involved in an accident due to the negligence or recklessness of another can take a devastating toll on your personal life, health, finances, career, and future. Whether it is a car accident, motorcycle crash, truck collisions, or any other kind of accident, if you have been injured, you have rights and deserve protection. The law firm of George C. Malonis is your local source for the personal injury representation and settlement or damages you deserve. An accident can lead to injuries that quickly become a pile of medical bills. There can also be property damages that are costly to repair. As those medical bills mount, you may also be unable to work and have to contend with a smaller paycheck, if any paycheck at all. You may also find a personal injury accident can lead to the need for rehabilitation, long-term medical care, on-going surgeries, and emotional pain and suffering that is simply impossible to put a price on. The consequences can truly shake up every aspect of your life, especially your family and your career if you are seriously injured. In fact, certain personal injury situations can leave you unable to ever return to a career or job you loved and trained for. While it may be an extremely difficult time in your life, you have a limited window of opportunity to seek damages and get the justice you deserve. At the law firm of George C. Malonis, you will find the local and experienced help you need to get the best possible resolution. George C. Malonis will investigate the scene, gather evidence, interview witnesses, help you document any and all losses, research any cases or statutes that will apply to and benefit your case, and take the time to get to know exactly how an accident has affected your life. As the most skilled Massachusetts and New Hampshire personal injury attorney in the area, George C. Malonis will fight with unwavering dedication to get you the damages you need and deserve, and in the timeliest way possible. 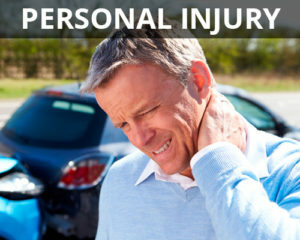 Anyone can become the victim of a personal injury accident in Massachusetts or New Hampshire. But, that doesn’t mean you should ever chalk it up to bad luck. Some victims may even try and handle the accident claim themselves. However, insurance companies stay in business by influencing victims to settle quickly and settle for less than they may need to fully recover. George C. Malonis can and will aggressively negotiate with the insurance companies and other parties involved to make sure you are fully protected. When you let George C. Malonis act on your behalf in your Massachusetts or New Hampshire personal injury case, you can focus on recovering while he focuses on getting you the justice and settlement you deserve. Contact us for a Free Initial Consultation.978-453-4500.